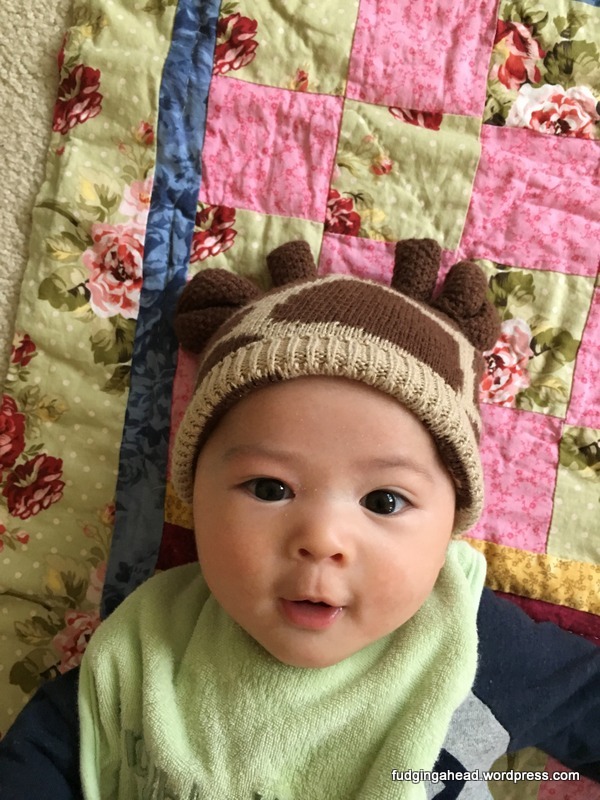 Topic-Changing Thursdays: The Chiplet is 4 Months Old! I can’t believe I just typed that title! Someone asked me at the store how old he was, and I had to say it then, too. He is getting so big and so aware of everything. We finally can drive places (if it isn’t nap time) and not just have him fall asleep. That might sound crazy, but since he does a decent job napping in his bed, we’d rather he stick to his routine and not have random car naps to throw off his groove. Of course, his awake times are still rather short, so if we go out, there is usually a car nap involved anyway. 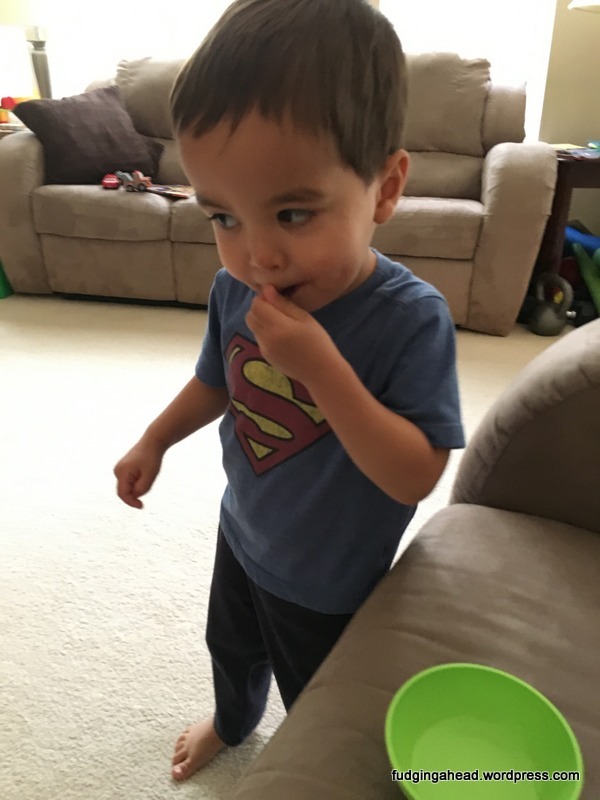 But, I try to save those for his shorter naps of the day so that we just keep him in his car seat for a bit after we come inside, and I usually have to wake him to eat at a certain time anyway. This is a great make ahead dish and looked mediocre before baking it, even if you don’t have to according to Ina. 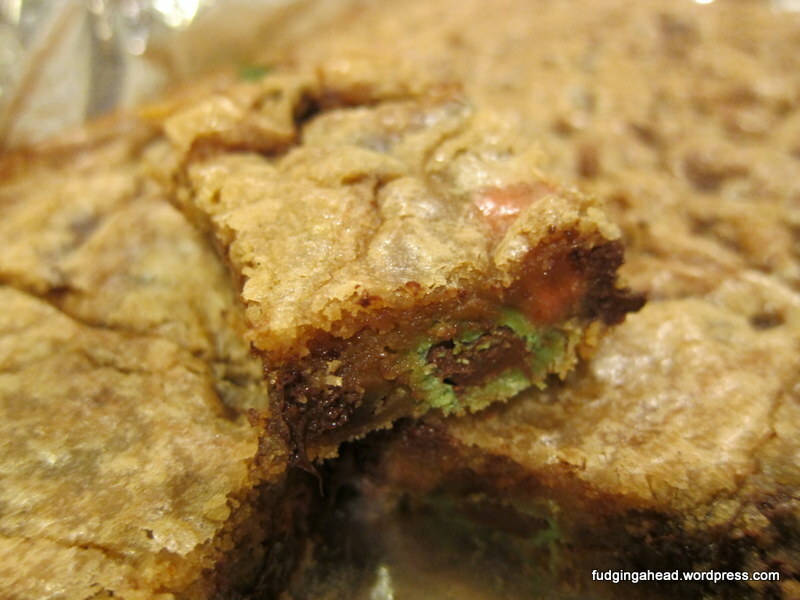 These definitely give you a coffee flavor, but not only that, they were great blondies. I made these for my dad without the coffee and used extra vanilla instead. He said they were some of the best blondies he has had, so clearly the coffee part isn’t the only good part of the recipe. Do you have a toddler and a newborn and need a quick recipe for biscuits that you can make in the time it takes to preheat the oven? And that includes dealing with a tantrum during the middle? Well, I have a recipe for you. And even if you don’t, and you just want easy biscuits that are buttery and delicious, this is a recipe for you. 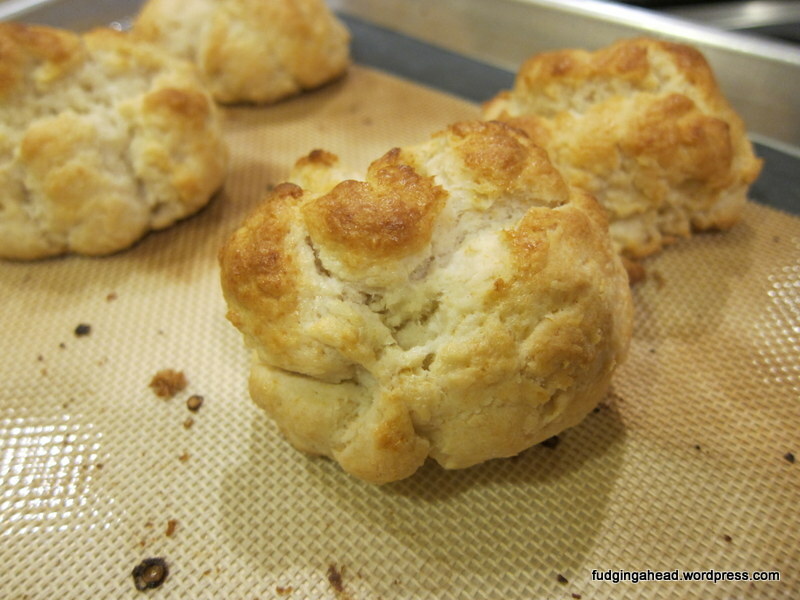 This is different from my other biscuit recipe which I still love. That one is flaky, while these are more rustic and crumbly. It depends on the type of biscuit you are in the mood for…and also how much time you have. In case you wanted extra pie, I bring to you cherry pie. I made this for my Aunt L who came to visit Seattle (and us) for the first time ever. She came in the Fall around her birthday, so I wanted to make her favorite dessert. 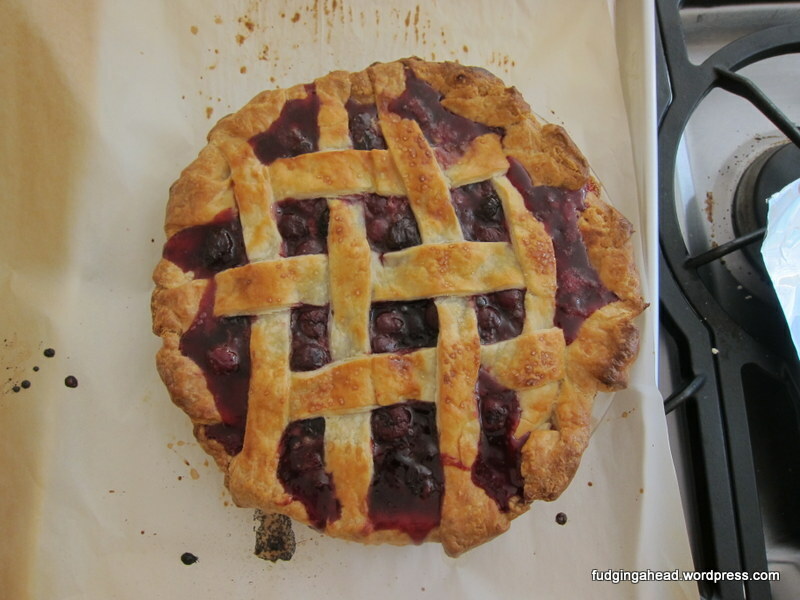 Of course it was something I had never made before, and it is an area I struggle with: pie! Thankfully, I was able to make something that was acceptable, and I think even delicious. First off, today’s post is brought to you by Pi Day! 😀 Happy 3-14! I’ve made spaghetti pie before and enjoyed it, but this time I had learned from last time. I added more black pepper (I probably could have added more, even), and I used my food processor for the cheese! This recipe is super easy and simple, but grating all of that cheese can take forever. I decided to give it a whirl (pun intended) and it was awesome. Grating and clean-up was faster than grating the cheese by hand, for sure. I’ve come across many recipes for making fruit roll-ups but had a bad experience with some generic fruit leather I had as a kid, and was worried it would just taste awful. This ended up being delicious, easy, and a fun treat for the Fudgelet.